$24.95 In stock. Order in the next 5 hours, 15 minutes and it will go out today! In stock. Order in the next 5 hours, 15 minutes and it will go out today! 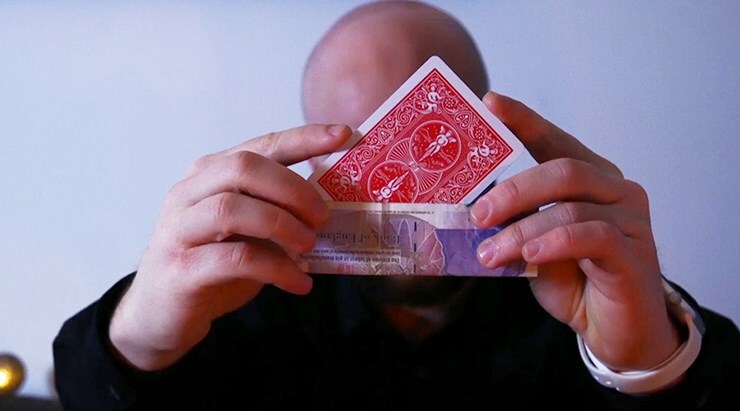 The best effects can be described in a sentence and few effects are as simple but mesmerising as this: Push a playing card through a bill! What makes this more interesting though is that the card can be signed! To understand how good this looks, you must watch the trailer but consider these important points: You begin by having a card freely selected and signed. 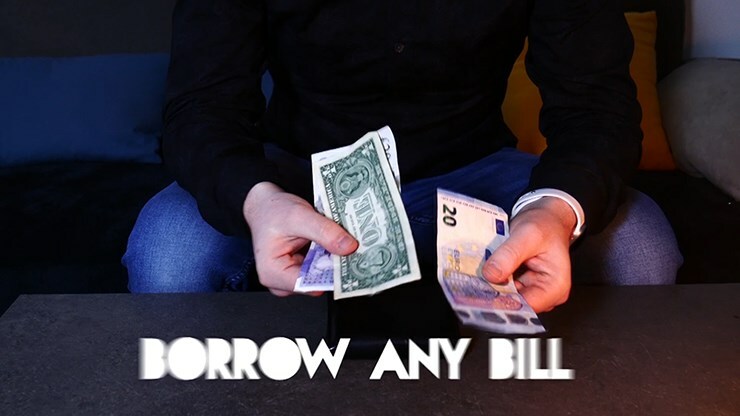 Then you ask to borrow any banknote (any currency, any material - yup, even Tyvek (plastic) bills!). Immediately, you push the card right through the centre of the bill! It looks fantastic. 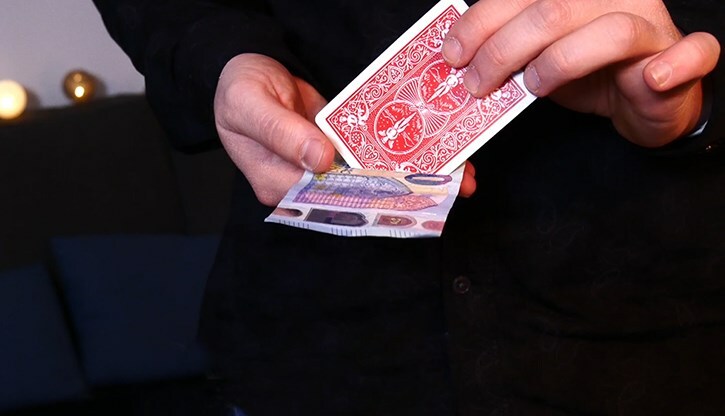 Many magicians have tried to tackle this effect but this is the best version we have seen to date. There are no switches required - just one clever gimmick that you add on. 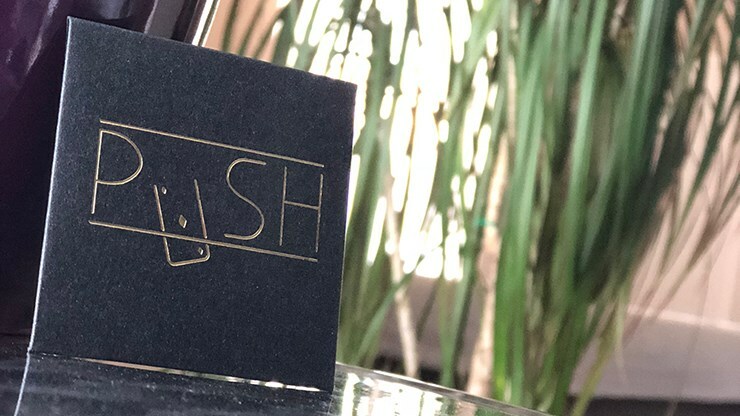 The gimmick is easily adapted to any Bicycle card within a few seconds and it is so small that you will have no excuse not to carry this in your wallet at all times! 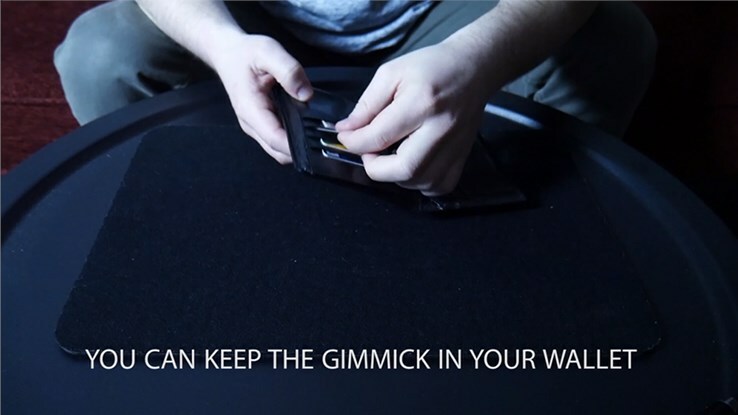 Practical - easily fits in your wallet. The bill and the card are examinable at the end of the effect! Available in Red or Blue options. 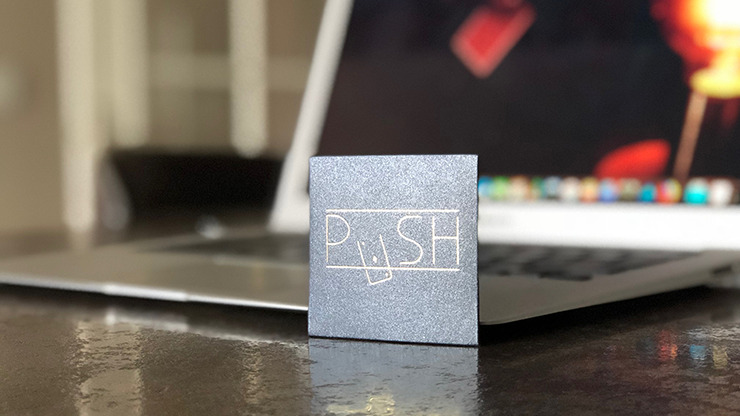 Let this be said up front: PUSH is first, and maybe foremost, an "arts and crafts" project. You'll have to be more deft than I to assemble the provided pieces with your own unprovided glue. You only get one shot — no room for errors. The handling too is a bit fussy with much to be concealed until the card has actually penetrated the bill. Though some of the most deceptive magic comes from putting in far more effort and/or expense than the effect would seem to warrant, I'm most likely to cut my losses and relegate PUSH to my overcrowded "Maybe Someday" drawer.